One the recent projects in its program portfolio is East Africa Dairy Development II (EADD II), an ambitious five year program designed to transform the lives of resource poor farming families through a competitive and inclusive dairy value chain in Kenya, Uganda and Tanzania. EADD II in Tanzania is targeting to reach 35,000 farm families, and 200,000 dairy stakeholders in the dairy value chain. The program is implemented in the Southern Highlands of Tanzania. Closing Date: 29th July, 2017. The Regional Communications Officer is responsible for development and implementation of the project communication strategy in the East Africa region. 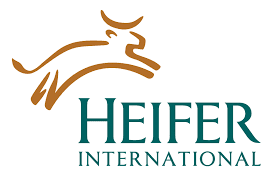 This includes developing, managing and disseminating project information, education and communication materials using appropriate communication tools to target project beneficiaries and stakeholders in conformity with Heifer lnternational’s objectives, systems and procedures. He or she will establish and manage relationships with media in East Africa to increase exposure in press and electronic media publications and programming. S/He will also ensure project information is packaged, disseminated and utilized by appropriate users in conformity with East Africa Diary Development (EADD ll ‘s) agenda, systems and procedures. S/He will support staff capacity building in communications and generate annual and quarterly progress reports. a) Degree in Business Administration, Marketing, Public Relations, Communications, or related field, plus five (5) years of related experience. b) At least two (2) years in a supervisory or leadership capacity. c) Experience working in a commercial business – preferably FMCG (Fast Moving Consumer Goods) marketing and communications – for at least 2 years, having worked with design, advertising, and media houses. a) Master’s degree in Business Administration, Marketing, Public Relations, Communications, or related field. b) Working experience iri Dairy or Food sector. a) Good analytical skills and ability to verify information. b) Excellent qualities and management, communication and interpersonal skills. c) A good understanding and sensitivity to issues associated with poverty, hunger and environment, and knowledge of the context to which non-profit organizations operate. d) Ability to promote the vision and strategic goals of EADD. e) Computer proficient in word processing, spreadsheets, presentation tools, electronic mail and Internet software (Microsoft Office preferred). Knowledge of design tools like Illustrator, Photoshop will be an advantage. g) Skilled at strategic thinking and anticipating future developments and trends to incorporate them into organizational plans. h) Demonstrated proficiency in English and Kiswahili – oral and written, with knowledge of other East African language(s) a plus. Only shortlisted ,candidates will be contacted.